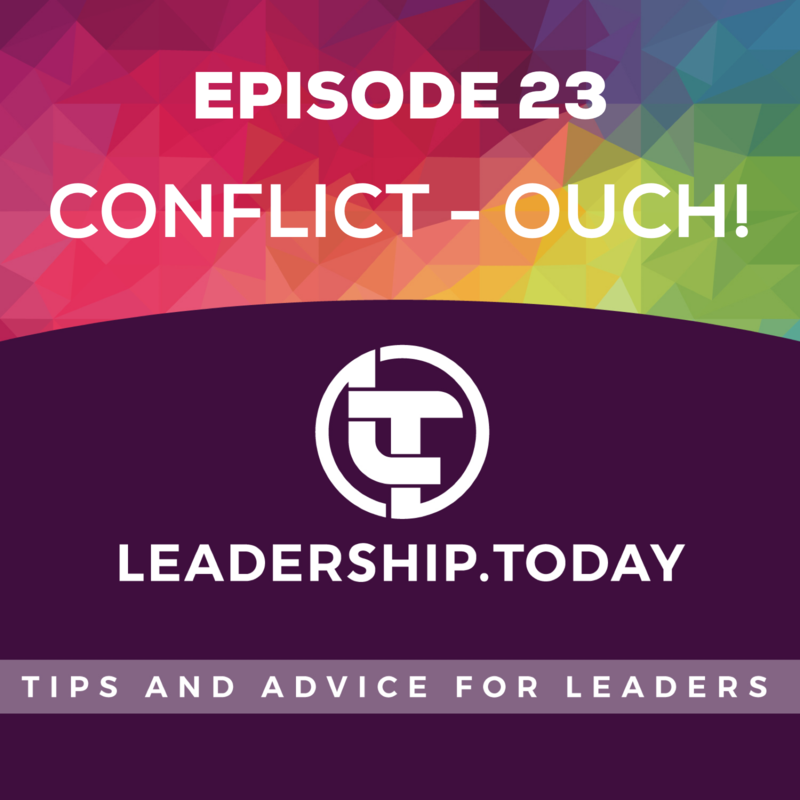 Discover Leadership Today Podcast Episode 23 - Conflict - Ouch! Conflict - love it or hate it, you’re going to end up facing conflict at some point. 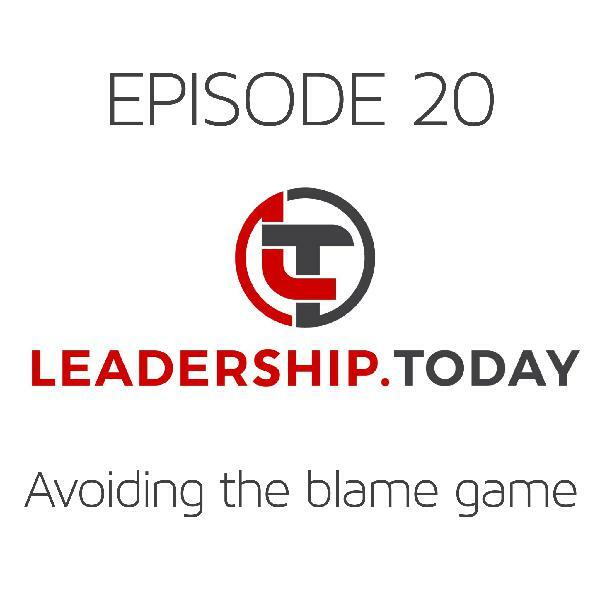 In this episode we discuss some ways of tackling conflict head on. 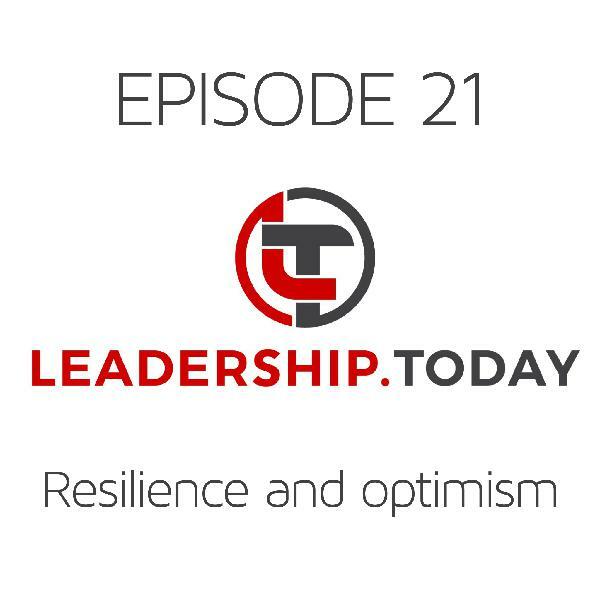 Hello and welcome to episode 23 of the Leadership Today Podcast where each week we tackle one of today’s biggest leadership challenges. What comes to mind when you hear the word ‘conflict’? When I ask this question on leadership programs, the first things people typically think of are negative. But research suggests that conflict isn’t automatically bad, but neither is it always good. There’s something about the way in which conflict is managed that makes a difference. Conflict occurs where two or more people aren’t thinking alike - where they have differences of opinion, or where their interests don’t align. In this way conflict is the product of diversity - of diverse views, diverse experiences and diverse ways of thinking. We know that diversity, when harnessed and managed, has a broad range of positive impacts on organisational performance. But diversity brings with it conflict which also needs to be managed. Kenneth Thomas and Ralph Kilmann define conflict situations as “those in which the concerns of two people appear to be incompatible.” This definition highlights that in conflict concerns only need to appear to be incompatible - it is entirely possible that with further exploration seemingly incompatible interests may actually be reconciled. How do we approach conflict? 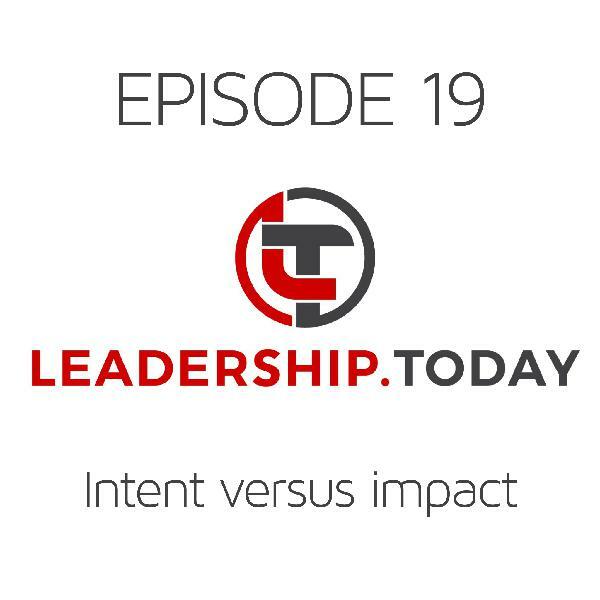 We typically approach conflict based on our preferences and previous experiences of conflict. There’s also a cultural overlay, with different cultures varying in how comfortable people are with disagreements. Depending on these factors, when it comes to conflict it’s easy to take an all or nothing approach - to either argue forcefully for our position, or to avoid the conflict altogether. There are times when these approaches can be valid, but those times are the exception rather than the rule. Our goal in managing conflict is to make the most of the diversity - to actively engage in discussion. To refine ideas and improve them by making the most of a diversity of views. And it’s also to build and maintain healthy working relationships. There may be little point winning an argument if it also means losing a key partnership. And of course we want to conclude with a clear way forward. Start with you - why does this issue matter to you? What’s your ultimate goal, not just the initial position you’ve taken? What have been your experiences of conflict in the past? What emotions is this conflict likely to produce in you? Are you prepared to shift your position in the face of additional information? You might consider self-assessments such as the Thomas-Kilmann Conflict Mode Instrument as these can boost awareness of how you typically approach conflict. State your intent - that you want to resolve the conflict and build the relationship. That you want to arrive at a better solution. Also let people know the extent to which you’re willing to change your position based on new information or perspectives. Agree ground rules. Members of a senior leadership team I served on were clear that we wanted to have robust discussions, and that it was okay for not all of us to have the same perspective. But while we didn’t always agree, we made sure we left each meeting on the same page - talking about the final outcome as if we had come up with the approach ourselves, even if we had been arguing against it 20 minutes earlier. You might agree to keep things confidential, to be frank - whatever it might be, discussing ground rules helps. Listen - and really listen - to the other position. Listen to understand rather than just argue back. So often we’re concentrating on only hearing opportunities to disagree and argue back rather than really trying to understand what’s important to the other person, and why it’s important to them. I remember going into a potentially heated conversation with one word written in all capitals at the top of my notepad - that word was LISTEN. Genuinely seeking to understand the other person’s position took all the heat out of the discussion. Shake hands. Whether figuratively or literally but, either way, leave on a positive note. Leaving a disagreement unresolved can lead to it festering and sapping energy. 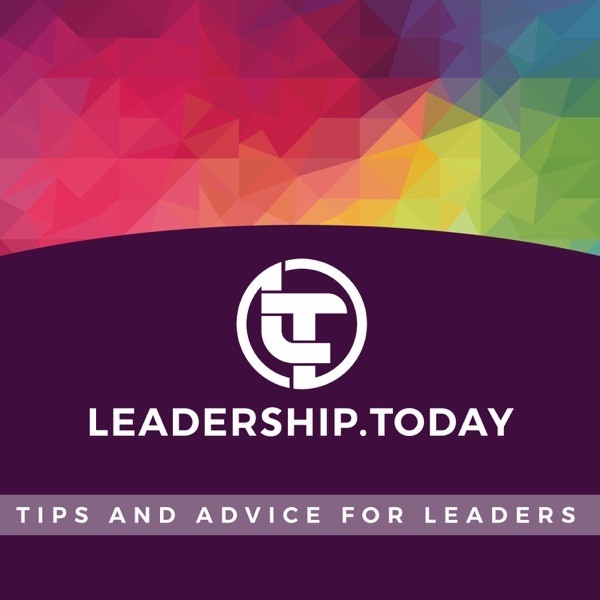 If you found this podcast helpful, you might also find episode 6 on assertiveness helpful as well - you can find it and all our precious episodes at leadership.today You can also use the connect link there to follow me on LinkedIn, to join our Facebook group, and to receive email updates about new episodes. Riaz, Muhammad & Junaid, Fatima. (2013). Workplace Conflict: Constructive or Destructive. SSRN Electronic Journal. 10.2139/ssrn.2247886. Reference: Thomas, K. W., and Kilmann, R. H. "An Overview of the Thomas-Kilmann Conflict Mode Instrument (TKI). "Kilmann Diagnostics Website (2009). We're taking a couple of weeks to look back at two of our favourite previous episodes - enjoy! Best of the Podcast Replay - Do Teams Still Form, Storm, Norm and Perform?